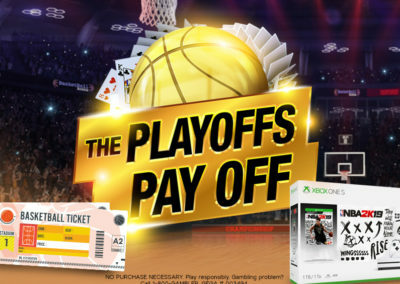 Earning Period: April 12 – 30! 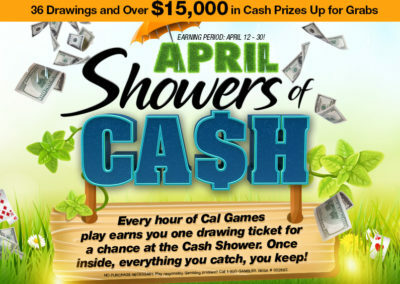 Every hour of Cal Games play earns you one drawing ticket for a chance at the Cash Shower. Once inside, everything you catch, you keep! GEGA # 002682. 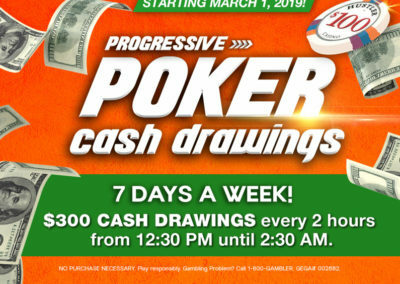 Poker and tournament play does not qualify to receive an entry into the cash machine drawing. 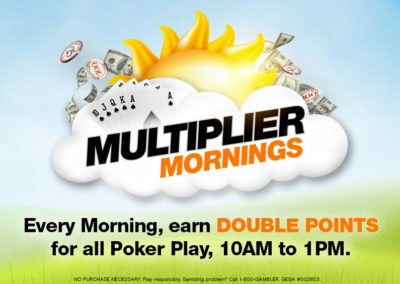 Baccarat play eligibility is restricted to $25+ minimum tables. 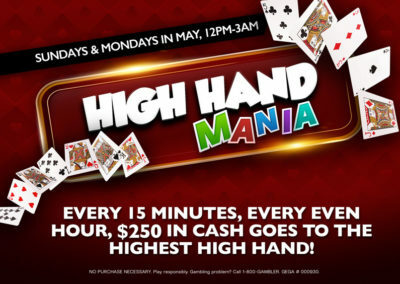 HUSTLER Casino reserves the right to change or cancel this promotion at anytime at its sole discretion. Must be 21 to visit casino. No purchase necessary. See floor person for complete details and rules. 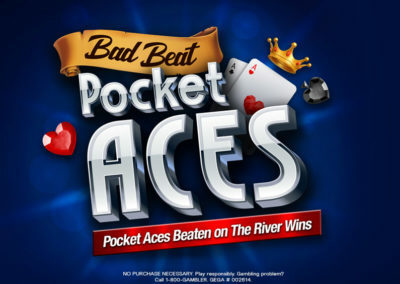 Players are responsible for bonuses and jackpots. 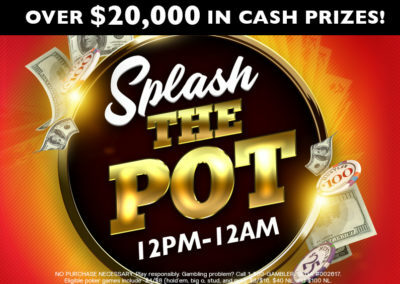 To receive bonuses or jackpot winnings winners must provide current, valid identification. Play responsibly. Gambling Problem? 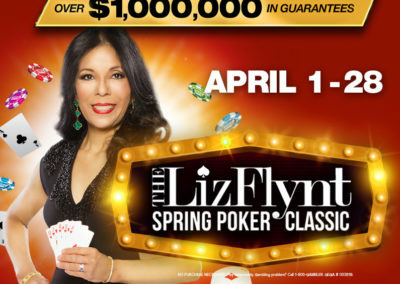 Call 1-800-GAMBLER.